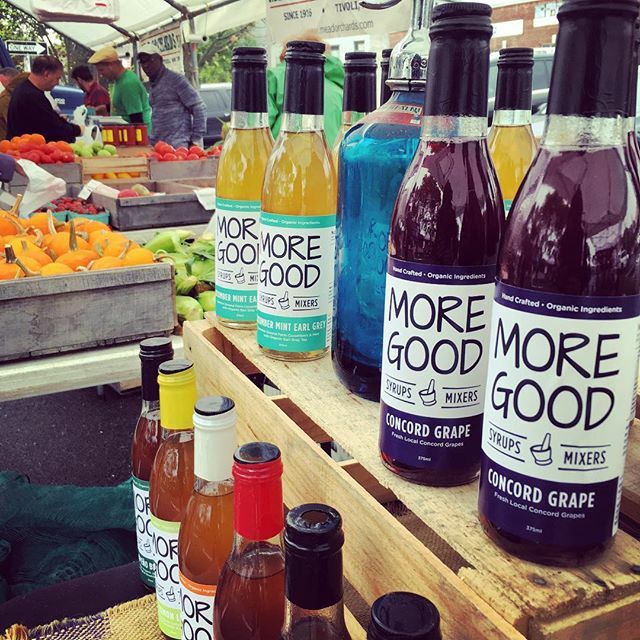 Drink More Good produces artisanal and small batch soda syrups. We package and sell them in 12 oz bottles of syrup, as well as keg and serve them as 12 oz cups of soda ready to drink. When they purchase a bottle of syrup, the consumer takes it home and mixes 1 oz of our syrup with 8 oounces of seltzer water and they get a home-made soda. Our sodas have 50% less sugar than main stream sodas, no artificial flavors or colors, and no preservatives. We source as many of the ingredients as we can locally, including Lavender from Northwinds Lavender Farm and honey from Hudson River Apiaries. We are continually looking for more ingredients by local producers to use in our recipes.